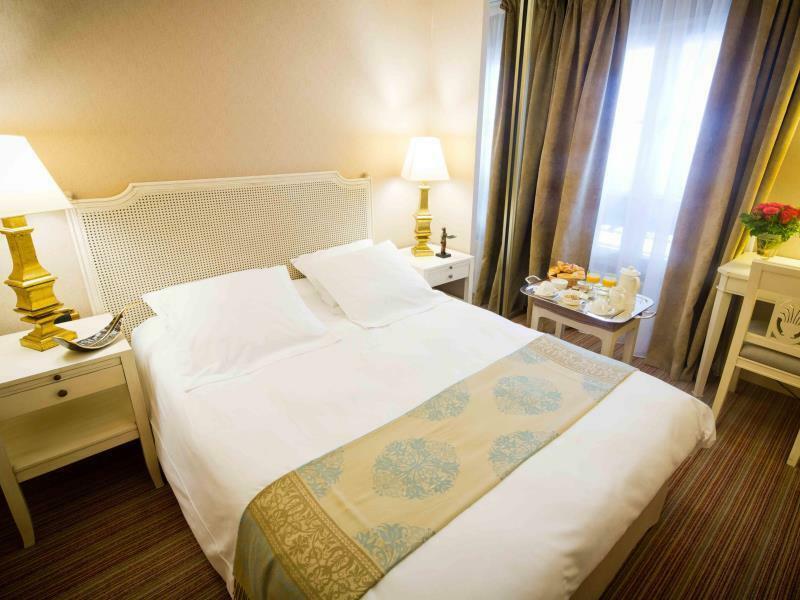 ﻿ Hotel Champerret Heliopolis Paris. JIMAT di Agoda.com! Ada soalan mengenai Hotel Champerret Heliopolis? Ketika melawat Paris, anda akan merasa seperti di rumah di Hotel Champerret Heliopolis, yang menawarkan penginapan berkualiti dan perkhidmatan hebat. Hanya sejauh , hotel 3-bintang ini boleh diakses dengan mudah dari lapangan terbang. Untuk pilihan bersiar-siar dan tempat daya tarikan tempatan, pelancong tidak perlu pergi jauh dari hotel kerana ianya berdekatan dengan Kedutaan Republik Rakyat Mozambique, L Eglise Sainte-Odile, Konsulat Jeneral Republik Dominika. Menawarkan tetamu hotel perkhidmatan yang unggul dan pelbagai kemudahan, Hotel Champerret Heliopolis komited untuk memastikan penginapan anda berada di tahap seberapa selesa yang mungkin. Untuk keselesaan dan kemudahan tetamu, hotel ini menawarkan Wi-Fi percuma semua bilik, meja depan 24 jam, simpanan bagasi, Wi-Fi di tempat awam, tempat letak kereta. Semua penginapan bagi tetamu menawarkan kemudahan yang difikirkan dengan teliti bagi memastikan rasa selesa yang sukar ditandingi. Di samping itu, pihak hotel menawarkan aktiviti rekreasi untuk memastikan anda mempunyai perkara untuk dilakukan sepanjang penginapan anda. Apabila anda mencari penginapan yang selesa dan mudah di Paris, ijadikan Hotel Champerret Heliopolis sebagai rumah anda seperti berada di rumah sebenar. Fantastic staff, very clean room, great value. Perfect! 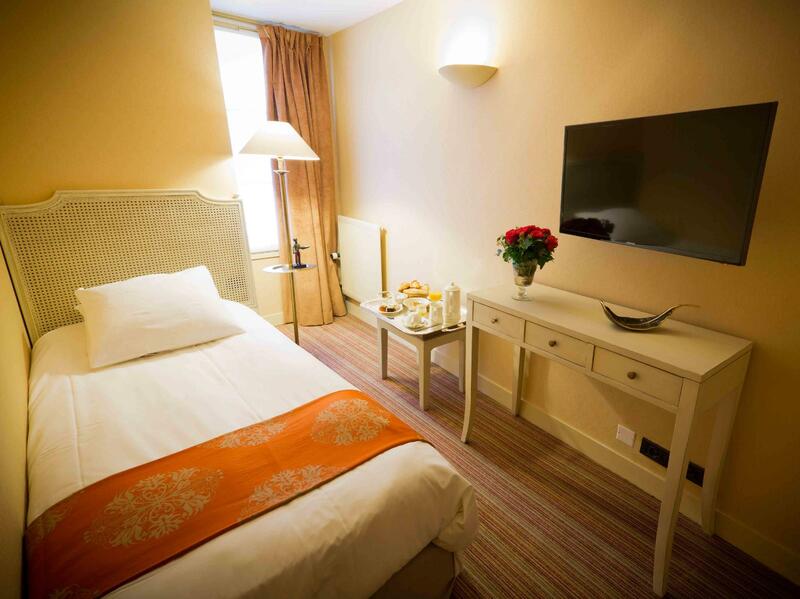 A wonderful cozy hotel, with a great location just across the road from the metro station and basically 15 minutes walk from Champ de Elysees. Rooms are not big, but very very cozy and clean, everything works perfectly, wifi is available, hairdryier available in the bathroom, soap+shampoos are refilled when needed, cleaning is done well every day. The personal is amazing - very nice, friendly, helping and caring, gives one an atmosphere of being amongst the family. Would definately reccomend the hotel to my friends and clients, and will come back there for sure next time I am in Paris!!! Our stay in Paris was made delightful by this hotel, truly recommend it, the staff is friendly, the rooms are clean, cozy and quiet. My experience there was really positive. Very nicely decorated hotel, close to restaurants and metro. Rooms are small but cosy. Price is very reasonable. Nice modern room, staff is always ready to help! Nice garden inside, great breakfast, I would go back :) ! It was so nice to host you, thank you for being so sympathetic ! We will be so happy to welcome you on your next time in PARIS. Best regards, KIM. The hotel is in a nice neighbourhood with plenty of good restaurants close by. There is also a Metro station close by. The staff were very friendly and helpful. There was no air conditioning, but there was a large fan in the rooms. The hotel is well decorated, cozy. Staff s are friendly and helpful. They let us check in early and ask the cleaning lady to prepare room for us first. The room is small but only 1 night stay, so it is not a problem. Thank you so much for your nice comment. It is important for us to make our best, so we are happy you appreciated. Best regards, Kim. 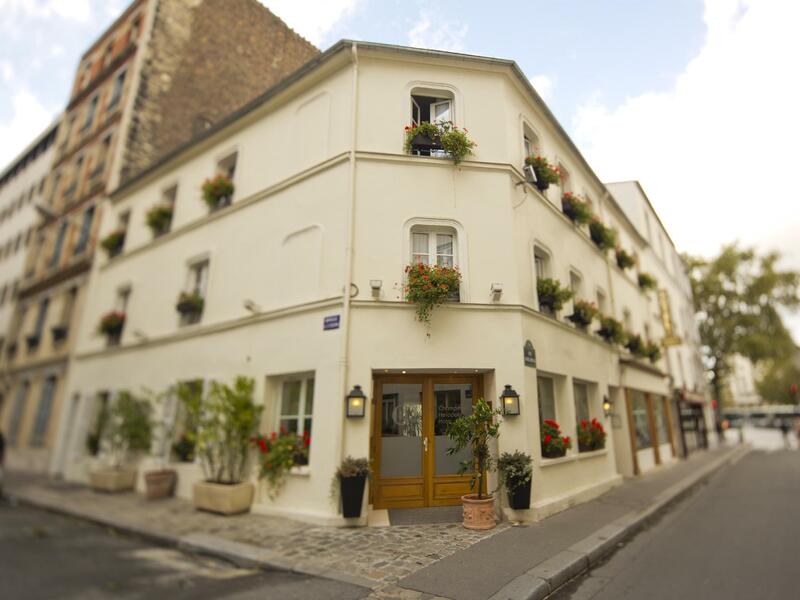 This little hotel was located in a quiet neighbourhood near the end of Metro Line 3, which is two-minutes of walk away. If you only travel to the city centre by underground, it is fine. Otherwise, it may involve some transfers. I stayed in a single room, which is quite small with all necessary facility. This makes it good for short stay. The guys at the reception are very, very friendly. They are happy to advice you on some nice restaurants and boulangeries nearby. Usually their suggestions are very good! Common area in the hotel is also small. But they have coffee maker and tables and sofas available for all guests. Also a small patio surrounded by green plants make it comfortable. The location is very near a Metro station on a quiet side street. My room was small but comfortable and it was spotless. I was very pleased with my stay. Just want to highlight the very helpful staff in this hotel. I sent them an email 2 days before arrival to get directions on how to find the hotel and they responded immediately to all of my questions. The room was clean and good. Only issue was there are a lot of stairs and if you have big luggage, better be ready to haul them up and down those stairs. Obliging desk staff, clean & quiet room. Reasonably priced considering a good 1/2 hour walk from Arc de Triomphe and not right in centre. Plenty of cafes in close proximity and restaurants about 10 min walk away. Eurostar station 2 changes on the metro. We Japanese have stayed by family which had two small kids 9yrs and 4 yrs old. Room introduced was with one king and single bed which is enough to stay for 4 people. Staff service was very good and the room we had was with small balcony where we could cool our foods. The room has big bath tab but did not have a small refrigerator so only regret may be of it. Overall was great hotel which makes us come back again. Nice hotel, room 004 needs a serious shower + toilet reparation. Very comfortable stay with very clean bathroom. Only bad point was that the room was a bit small but I guess most Paris hotels are the same. We were so amazed with warmness and location of the hotel. You will find most services right next to the hotel like restaurants, bars, grocery, pharmacy, etc. Metro and bus stations are just 200 meters away. Sure I'll stay here if I come to paris again. we had a great stay in Champerret Heliopolis - few meters from the Metro, nice and cozy room, great breakfast and very friendly staff.